The fossil records of nearby states such as Massachusetts and Connecticut indicate that dinosaurs terrorized those lands long before drunken Bruins fans ever did. Though prehistoric creatures once dwelled in the tropical sea that became Lake Champlain, no dinosaurs ever stomped around the Green Mountains. Until now. 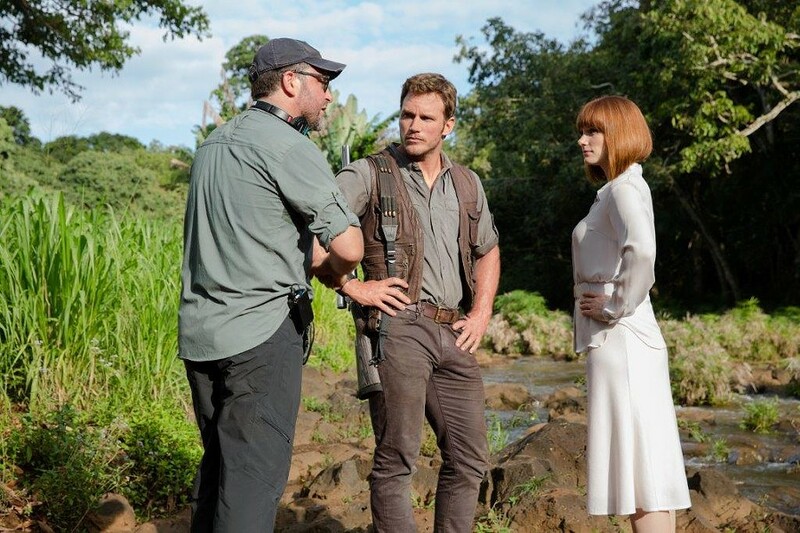 Jurassic World, the long-delayed third sequel to the 1993 film Jurassic Park, will have an unusual premiere in Burlington two days before its national release. 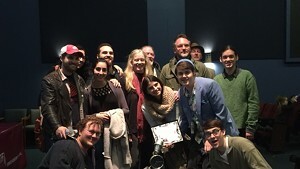 The film, directed by Burlingtonian Colin Trevorrow, is the main attraction of a fundraising event for the Vermont International Film Foundation. Though the bread and butter of VTIFF is screening “small,” independent and foreign films that do not receive widespread theatrical release, the local connection to this $150 million summer blockbuster was a perfect opportunity to raise money for and awareness of the organization. 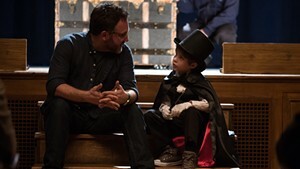 After directing just one mid-budget independent film, 2012’s Safety Not Guaranteed, Trevorrow was tapped by none other than Steven Spielberg and his producing team to join the ranks of Big Hollywood Players. 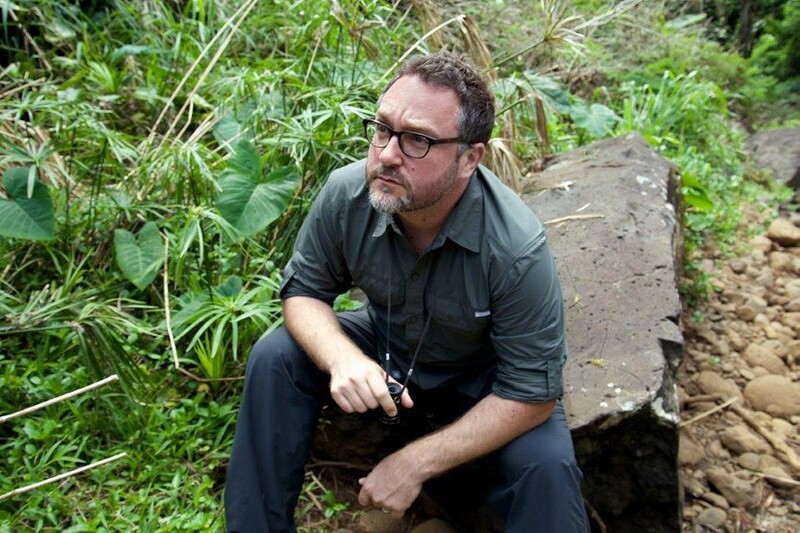 Though his first feature contains no dinosaurs, and his second feature would appear to contain little in the way of “quirky” romance, Trevorrow says that the two films are more alike than they might appear. This week, Vermonters will have the chance to decide for themselves. The main event, though, is Jurassic World itself, which promises to be one of the biggest and splashiest films in the summer movie season. 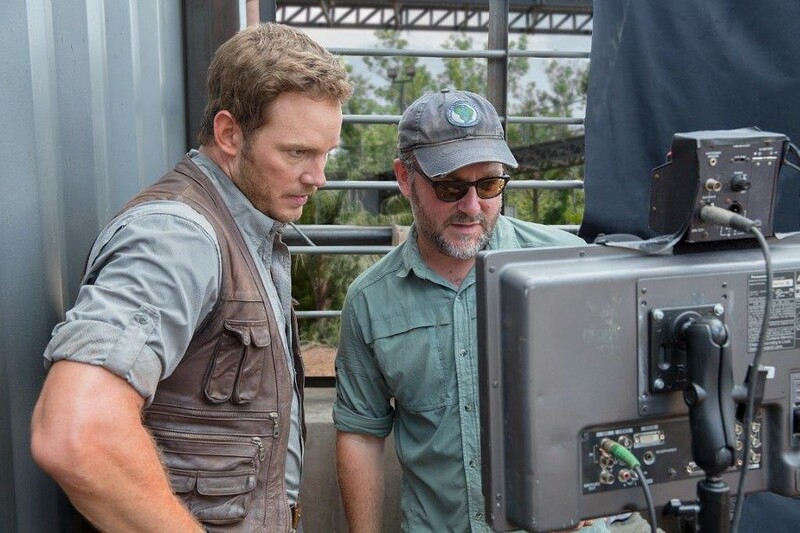 Trevorrow took a moment during his worldwide publicity tour to speak with Seven Days about his new blockbuster. SEVEN DAYS: Are they putting you through the wringer on this publicity tour? COLIN TREVORROW: Yeah, but it’s fine. We got to travel to China, to the UK, to France. We had a beautiful premiere in France with my family, which I really enjoyed. SD: What exactly is your connection to Burlington? CT: My wife and I moved to Burlington about eight years ago. We had been living here in Los Angeles for quite a bit, and decided we wanted to start a family, and recognized that Burlington would be an ideal place to do that. So I just picked up and moved everything to a new place where I hadn’t really been before or spent much time in, but I make a lot of strange decisions based on instincts, and that was one of them. SD: Is it hard to maintain a career in Hollywood while living in Vermont? The airport here doesn’t offer direct flights to any place more distant than Detroit. CT: When we first moved there, I was a screenwriter, and I pretty much accepted that that’s what I was going to do for my career, and I was very happy doing it and it was very fulfilling. So we moved with that idea in mind, and then I got the opportunity to direct Safety Not Guaranteed, which I jumped at. The result is that it propelled us into a very different reality. So, yeah, it’s certainly been difficult. I haven’t really been home in a year and a half straight; the year before that, I was very rarely there. Doing what I do, it’s impossible, but we have found a way to at least be there next year, and I’m working on something that I’m going to be able to shoot very close to home in the fall. I’m hoping it’ll all come together, because it’ll at least allow us to have one more year in a place we really love. SD: I noticed that, in the credits for Safety Not Guaranteed, you thanked the Vermont Film Commission. Not only does that institution no longer exist, but the film was largely shot in Washington state, right? CT: Well, we cut the movie in Vermont for a bit. Usually, when any piece of a production is done in a state, you acknowledge them. We also mixed the score and recorded a lot of the score there — Ryan Miller, from Guster, recorded the score. SD: What are your connections with the arts community in Burlington, and what was the origin of this special event with VTIFF? CT: I try whenever I can to go into schools and talk to kids and to be a part of it as much as possible. The film festival was something that had been brought to my attention early. I’d been to several events, and I thought that if we were going to do some kind of screening in Vermont — which I know we wanted to — I thought it would be good to support a group that is really pushing forward in getting as many kids to be as creative as possible, and supporting arts in a state that often tends to lean toward science and biology and agriculture and all the things we’re great at in Vermont. It’s been great for me to sit down with [college] students and hear what they’re doing and how they’re learning, as compared to how I learned when I was in film school. There’s just so much more accessibility now. Anybody can make a film, and that just wasn’t the case when I was in school — and I wasn’t in school that long ago. Things have changed very quickly. I know there is creativity everywhere, so I just hope this [event] will encourage people to reach into the creative parts of themselves, because that can fulfill you in many ways, even if you don’t do it professionally. SD: The preview in Burlington is one of only a small number of such previews, right? CT: Yeah, there’s only three. There’s one in San Francisco, which is the one I’ll be able to attend. It’s for a charity that means a lot to me called Swords to Plowshares, which my father is involved in. Then there’s the one in Vermont, and then there’s one in Bozeman, Montana, to support [the film’s] paleontologist, Jack Horner, and his museum, [the Museum of the Rockies]. SD: I’ve been to that museum! It’s an excellent museum. CT: Yes, it is. And he’s been with these movies since the very beginning, so we wanted to do something for him, as well. SD: To turn to Jurassic World itself: The question on everyone’s mind is: Are there any inside jokes in the movie that only Vermonters will understand? CT: Oh, my gosh! [laughs] Not sure if I can promise that! It begins in Wisconsin, actually, in a very Vermont-esque environment. That’s about as close as it gets. It starts in the snow, so that’s really my one shout-out. SD: I’m sure this has come up before, but watching Safety Not Guaranteed, one is not necessarily left with the impression that this guy should direct the next Jurassic Park movie. Specifically, the new movie is presumably filled with big scenes of tension and suspense, and, but for a couple quick moments, that’s not a big part of Safety Not Guaranteed. CT: You know, I actually find them to be very similar kinds of movies, at least in the way that I look at story. They both are not one genre; they both have elements of several different kinds of films. Safety Not Guaranteed is a science fiction-mystery-comedy-romance, and this movie is a science fiction-action-adventure-horror-romantic comedy-thriller. Those are all things that are very challenging as a storyteller to include in one movie, and it’s the kind of challenge that I get very excited by, and I will continue to do in whatever work I have the privilege to do in the future. And they both share a set of priorities to embrace the audience, and to give them an experience that will make them feel, ultimately, very good and full of hope after a long day’s work in our real world. 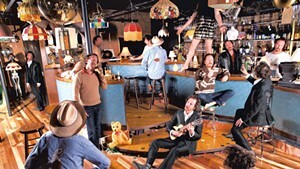 So they’re kind of entertainments that I find somewhat connected. Also, you’ll see that this film is not just what’s been shown in the trailers. They need to get people to come in on opening weekend, so they show a lot of action and a lot of intensity, but there’s a very warm and emotional and funny romantic movie, and I think people will see that it’s a lot closer to my first film than they might expect. SD: Spoken like someone who’s now working with the production team of Steven Spielberg, Kathleen Kennedy and Frank Marshall — that’s their MO. Look at films like E.T., and you see what you’re speaking of: a combination of genres and an embrace of the audience’s emotions. That’s very much what such films are about. CT: Absolutely. And I think that’s why I got the job. It’s clear that I grew up on these movies, and they influenced me a lot. I want to make movies that make you feel a similar way. I don’t want to make carbon copies of those movies, or be derivative of them. And that’s kind of the biggest “third rail” for a filmmaker of my generation: to just make new versions of the things we love. It was a fear of mine going in; it was the only reason that I hesitated to take the job. I want to make original films, and if I was going to do this, I wanted it to be an original film in the context of Jurassic Park. So that’s why we don’t have all the old characters coming back. It is a new story with new people and new ideas. SD: As a screenwriter first, was it difficult for you to cowrite and direct a movie whose “world” you, yourself, didn’t entirely create? CT: No, actually, it was easy. We had three ideas that Steven gave us: the [theme] park being open, the raptor trainer, and there being a genetically modified dinosaur that escapes and tries to eat everything in its path. These were the only three pillars that we needed to build the rest of this movie on. We had absolute, unlimited room to run, creatively, because those are all ideas that you can go any number of ways with. So I found it quite easy to think pretty big and crazy, which I like to do. I like being able to work off ideas by other brilliant people. Makes it easy for me. SD: If you’re in Vermont during the film’s release, I’m hereby inviting you to attend a screening of it at the Sunset Drive-In with me. CT: That sounds great! I love that idea. Ryan and I were talking about doing that. We had discussed doing the Sunset Drive-In. I really wanted to be there for this [event]. We had a choice of doing something for which I could be present, or having something in advance that would ideally be able to help with fundraising for the festival, so that was the option we chose. That said, I would absolutely love to have an event that I could be present at when I get back. It’d be a blast.